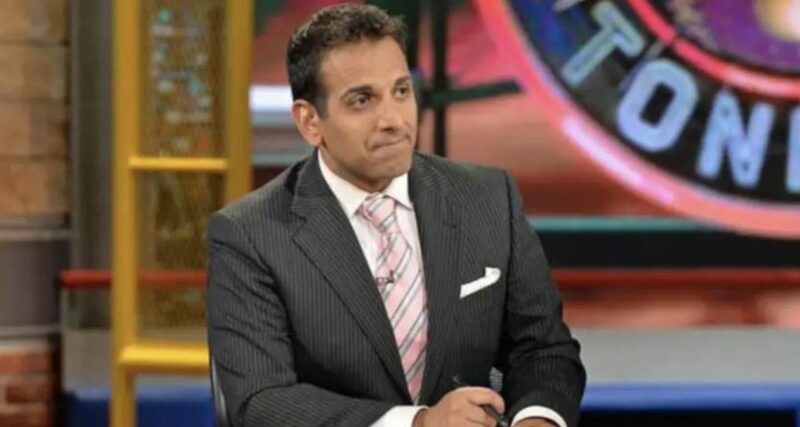 Adnan Virk: “I’m hurt that I was that replaceable for doing something I thought was relatively benign.” By ESPN’s standards, he’s right. Virk's firing for leaking information stands in stark contrast to the small numbers of previous public firings by ESPN. It also appears to be the only punishment the company has handed out for leaking information, which looks like a relatively common ESPN practice. From the rather short lists of those who have been publicly suspended or fired by ESPN over the years, Virk appears to have a point there. The network has sometimes let contracts expire (Sean Salisbury, Rob Parker, Bill Simmons, Adrienne Lawrence, Bruce Feldman), stopped featuring people (Jay Mariotti, Doug Adler), seen controversial people resign (Rush Limbaugh, Craig James), included controversial people in wider layoffs (Britt McHenry), or seen people exit in the middle (Jason Whitlock, Jemele Hill) or just ahead of the end (Colin Cowherd) of their contracts, but there are very few firings that have been made public, and the ones that have come out have been for offenses that seems much more serious than leaking something to a reporter. Jason Jackson, ESPN radio host, fired in 2002, allegedly for sexually-charged comments in e-mails to colleagues. Harold Reynolds: MLB analyst, fired in 2006 for sexual harassment, reported to be an “inappropriate hug” towards a PA. Now at Fox Sports and MLB Network. Bill Walton: NCAA/NBA analyst, fired in 2009 amidst health issues that made it impossible for him to work, in a move that ESPN later billed as him “deciding not to return,” brought back in 2012. Steve Phillips: MLB analyst, fired in 2011 for losing his credibility when an affair with a younger production assistant became public. Now at Sirius XM’s MLB Network Radio. Matthew Barnaby: NHL analyst, fired in 2011 after a DWI (which came on the heels of him facing charges in a domestic dispute with his ex-wife). Ron Franklin: NCAA play-by-play commentator, fired in 2011 for sexual harassment, including calling coworker Jeannine Edwards “sweet baby” and following that with an expletive. Anthony Federico: Editor, fired in 2012 for “Chink in the armor” headline about Jeremy Lin. Will Schleichert: Producer, fired in 2013 for a Keith Olbermann-Tupac mashup. Lomas Brown: NFL analyst, “released” in 2013, around his involvement in concussion litigation and critical comments he made about ESPN’s concussion coverage. However, that also came after his strange admission in December 2012 that he once missed a block on purpose to get quarterback Scott Mitchell hurt. Hugh Douglas: Numbers Never Lie co-host and NFL analyst, fired in 2013 for drunkenly threatening coworker Michael Smith with allegedly racially-charged language. Curt Schilling: MLB analyst, fired in 2016 after a long period of problematic behavior, ending with posting an anti-trans meme on Facebook and defending it. Donovan McNabb and Eric Davis: NFL analysts/radio hosts, “cut ties with” in 2018 after accusations of sexual harassment against them during their time at NFL Network. So, five of those firings are for sexual harassment in one form or another. The Barnaby one involved criminal charges. The Walton firing stands out as the most unusual, but ESPN later brought him back. The firings of Federico and Schleichert didn’t seem to have much cause, but they were of online and behind-the-camera talent respectively, where the bar for a firing seems much lower. (Consider that Max Bretos only got a 30-day suspension for using the same “Chink in the armor” language.) And the Douglas, Phillips, and Schilling firings were more about embarrassing the company, and it could be argued that Virk’s leak did that, but it seems nowhere close to the level of behavior seen in those other incidents. The closest parallel here might be the Brown case, where he took a position contrary to what ESPN was doing at the time. But the “released” language in the reports from that time isn’t clear; that may have involved ESPN just taking him off the air but still paying him through the end of a contract (unlike the for-cause Virk firing, where he wasn’t paid for what remained on his deal), or it may have involved his contract just running out and not being renewed. And Brown’s comments on Mitchell brought a whole lot of backlash towards him, which might have been just as much of a factor as anything he said or did on the concussion front. It’s also notable that the long list of ESPN suspensions includes things that seem far more problematic than what Virk did, from sharing sexual photos (Salisbury, 2006) to plagiarism (Will Selva, 2010) to alleged sexual harassment (Mike Tirico, 1992) to racially–charged comments (Bretos and Parker, both 2012). Two suspensions that do seem somewhat analogous to Virk’s situation are Bill Simmons’ three-week suspension in 2014 for calling Roger Goodell a liar and daring his bosses to punish him, and Jemele Hill’s two-week suspension in 2017 for suggesting that upset Cowboys’ fans could boycott the team’s sponsors (which also saw her use similar language to Virk, with “I thought I was tweeting something pretty benign“), as both of those involve something that could be annoying to a rights partner (the NFL in that case, MLB in Virk’s case; there are rumors that MLB wasn’t happy the information about them letting ESPN out of a contractual obligation for a daily baseball show came out). However, both the Simmons and Hill suspensions were over comments that seemed potentially more directly harmful to rights partners. Both were opinions, one involving Simmons taking a direct shot at the NFL commissioner and one involving Hill suggesting fans hit Jerry Jones in the pocketbook. And both came after other behavior ESPN management didn’t like (Twitter suspensions in Simmons’ case, calling President Trump a white supremacist in Hill’s case). There’s no evidence of any previous punishment or public criticism from management for Virk, so that’s further evidence that a firing for him looks quite draconian compared to ESPN’s past disciplinary record. Moreover, the leak from Virk is something that would have been public and obvious in the end anyway when Baseball Tonight didn’t return as a daily show despite previous talk about that. If Virk hadn’t said anything, this still would have been obvious when ESPN announced on March 6 that Baseball Tonight‘s weekday presence would be “daily segments within SportsCenter,“ which is not even close to a daily show. Essentially, the end result of this leak was that that information that would have come out anyway made it out to the media a month early. That doesn’t seem like a great reason to fire someone, especially considering the lack of punishment for other leaks. Of course, a comparison of ESPN’s past disciplinary actions can only go so far, as they’re under relatively-new management with president Jimmy Pitaro. Pitaro came in last March, and all of the above suspensions and firings precede that. But it can be proven that Virk is far from the only one to ever leak something from ESPN, and that he appears to be the only one fired for it. Anonymous sources that seem connected to ESPN appear in stories all the time without consequences, and a good illustration of some of that comes from New York Post columnist Andrew Marchand, who previously worked at ESPN. Marchand broke the news of Virk’s firing back in February, citing “sources who told the Post” that Virk was “accused of leaking confidential company information to the media on multiple occasions,” and Virk’s comments to Strauss insisting that he only leaked information in this one case make it clear he didn’t tell Marchand that. It’s possible it could have come from Virk’s agent, but that’s unlikely given the negative framing and discussion of “multiple occasions.” So that’s most likely ESPN sources, even if the only on-the-record comment there is “Adnan Virk no longer works at ESPN.” And there’s been no public punishment for whoever leaked that, not surprising considering that those particular leaks seem to advance ESPN’s side of the story in the Virk case. But that’s nowhere near the only seemingly-unpunished leak. Marchand is far from the only one with ESPN sources, but his columns are a good illustration of just how common ESPN leaks are. Let’s take a look just through Marchand’s columns from the last month for what might seem like ESPN leaks. For some of those, it’s not necessarily an ESPN source. The Manning and Glanville ones could come from those people (who somewhat, but not entirely, count as “ESPN”) or their camps (and there’s a separate note in the Manning one about “sources close to Manning”), and the comments on ESPN “liking the post-Witten base it has” could be more analysis than a direct source. But the comments on Witten, Virk, and ESPN cost-cutting plans are all according to ESPN sources, as are the comments on Bruschi (even if that’s from him or his camp, he’s a regular ESPN employee). And Marchand’s pieces here are just a small fraction of the anonymous ESPN sources regularly commenting through media outlets; many reports on the company from a wide range of outlets use anonymous sources from inside ESPN. Virk’s case is the only reported one where there’s been any discipline for that, much less a firing. So Virk’s remarks that “I’m hurt that I was that replaceable for doing something I thought was relatively benign” feel pretty apt. Leaking information to the media sure seems to be treated as “relatively benign” when anyone else at ESPN does it.